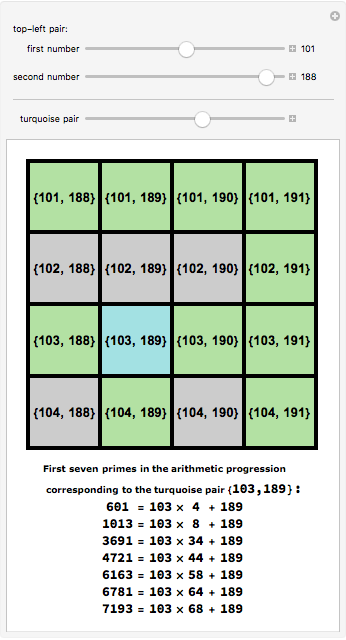 Dirichlet's theorem states that there are infinitely many primes in an arithmetic progression if and are relatively prime integers, . 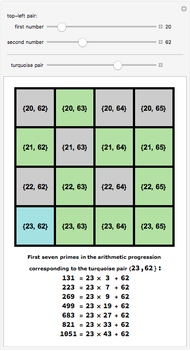 In the array, relatively prime pairs are shown in green or turquoise. 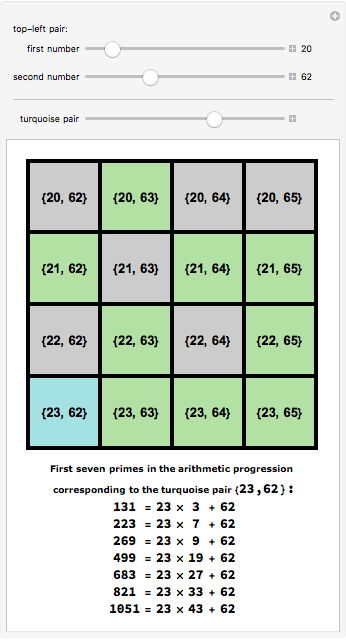 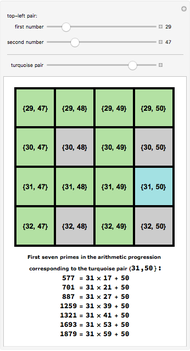 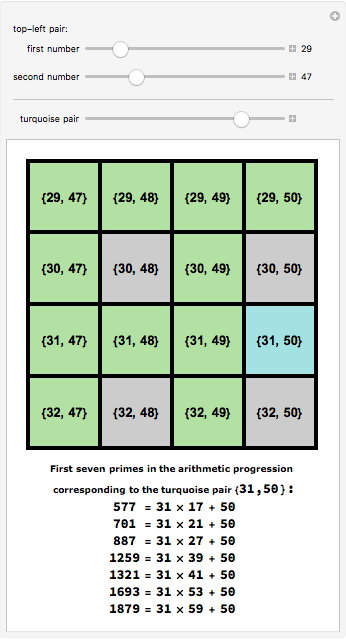 The first seven prime numbers are shown for the arithmetic progression corresponding to the turquoise square.